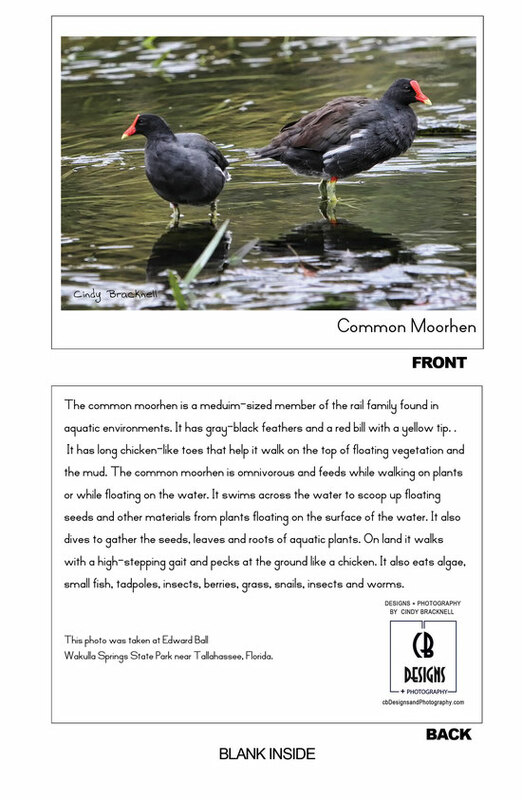 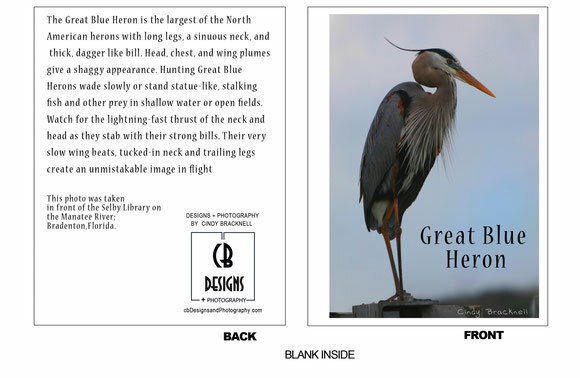 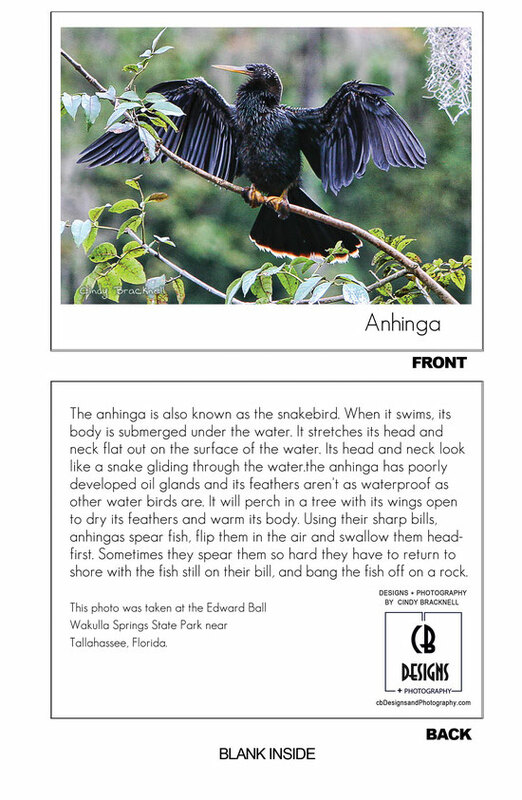 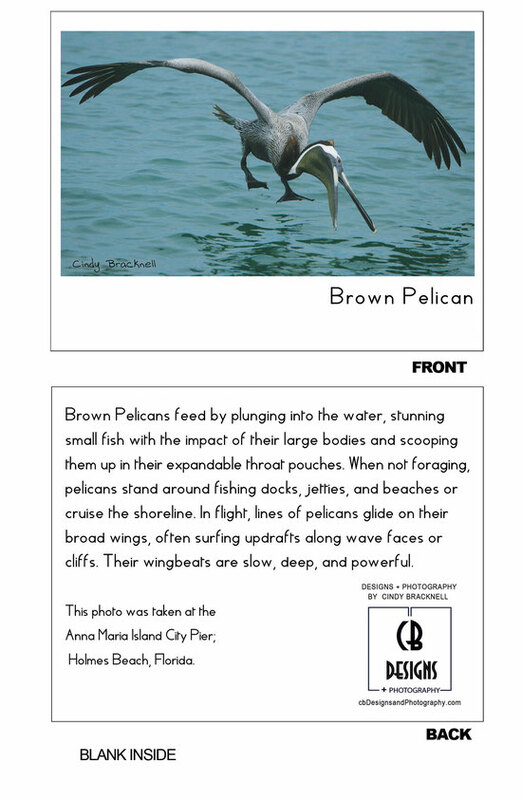 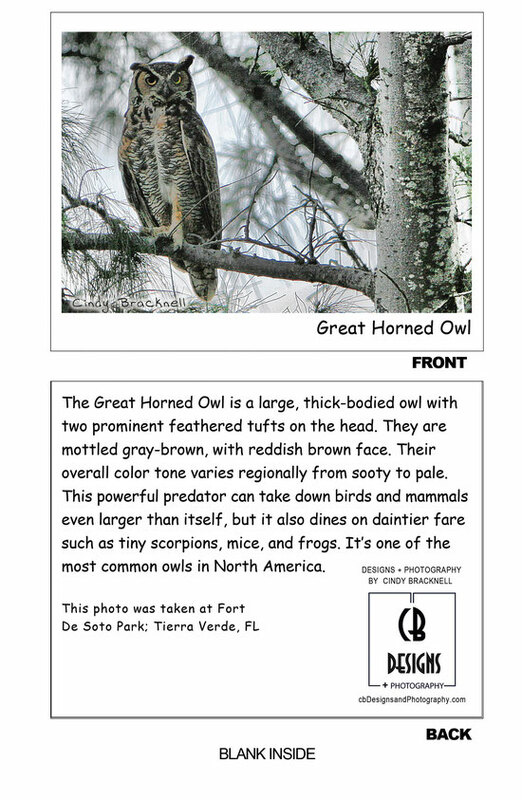 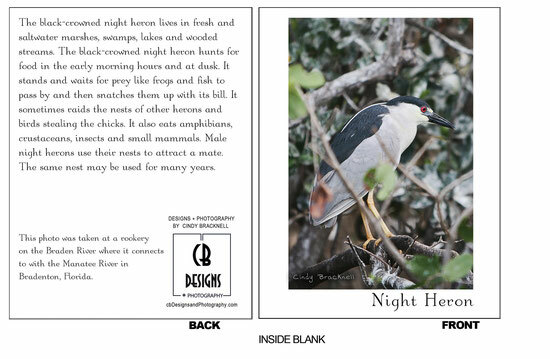 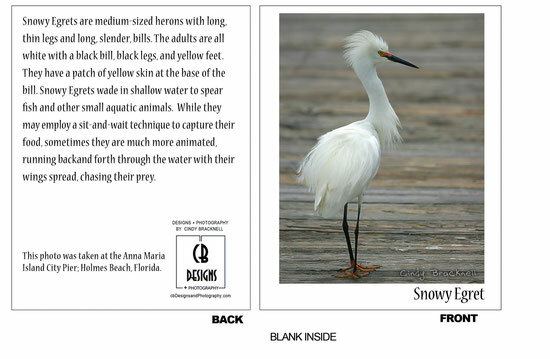 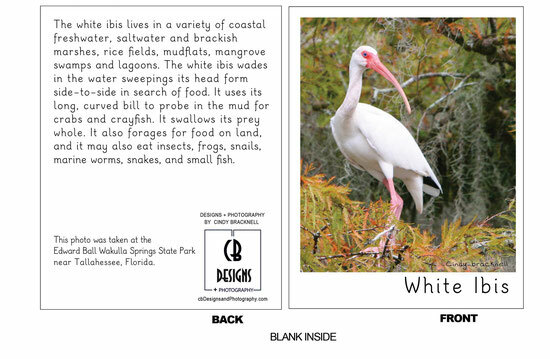 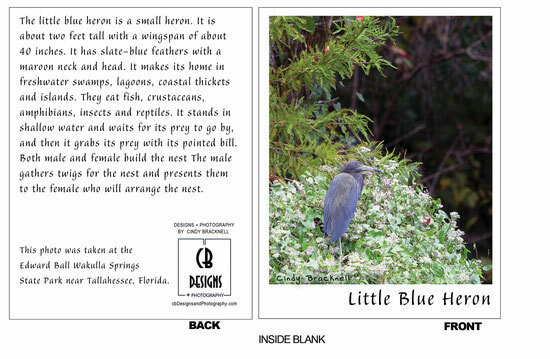 Note cards featuring birds I have photographed in Florida. 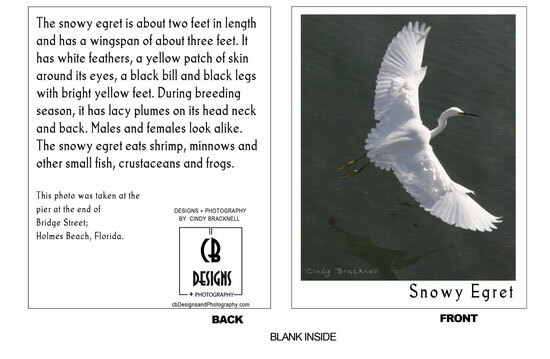 I have put these in my Florida Bird Calendar. 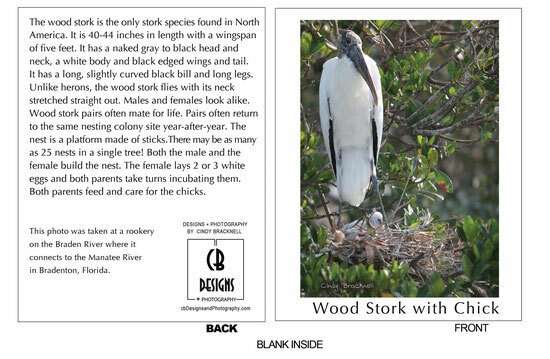 I have now created attractive note cards that are blank on the inside and have information about the bird on the back. 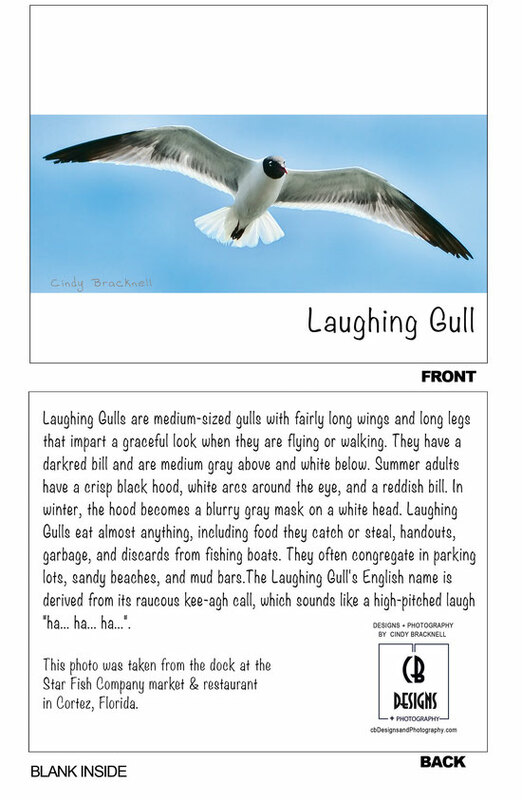 (resealable packet) Makes a nice gift!